Well, what other timing is there to talk about The Gold Service Scholarship with HM The Queen celebrating her 90th Birthday…. I told Rob ‘I will go for it’. I went home that weekend and completed an online exam for the Scholarship. From what I can recall there were around 125 waiters who applied to go in for the competition. After a few weeks I received an email saying I have been 1 out of 25 that has been chosen to go through to the next stage. The next stage was me and the other 24 having to go and fold 10 different styles of napkins, table checks, cocktail making, serving afternoon tea, and many more tasks. They were performed in front of many judges- Emmanuel Landré and Fred Siriex just to name a few. After a few weeks I heard the good news that I was one of the 6 finalists. For the final we had to serve a table of 4 at Westminster Kingsway College in London. Wow, what a day. The level of perfection at this lunch was magnificent, we all wanted to win and everybody in the dining room could feel the tension. We had to prepare an order of service and execute this with the finest detail. From laying up your part of the dining room, welcoming your guests, serving champagne and canapes, taking their orders and decanting their wines, nothing was done for you. Serving every course with the upmost care, silver service where needed and of course one of my biggest passions- explaining and serving the different cheeses. After the lunch we headed down to Claridges where the ceremony to announce the winner was taking place. There must have been at least 350 people in the room with some of the industries greats (including my Restaurant Director at the time, Jean Claude-Breton) no pressure or anything! There was a superb spread laid out by the whole team at Claridges. The award was presented by Alastair Storey who is the Gold Service Scholarships backer (incredible guy with a serious amount of passion for young talent to get into the service industry). Then, sitting on the front row next to the other finalists waiting for the winner to be announced…and the winner is…. Rebecca Dibben! Fully deserved and now a great friend of mine. Rebecca flew off around the world as part of her prize, gaining a lot of experience and building new relationships. Rebecca, Ivo, Devid, Steven, Ben and myself also went on a wine trip to Bordeaux. Amazing, we went with the fabulous Sara Jayne Stanes OBE (Managing Director of the Royal Academy of Culinary Arts and an absolute know it all when it comes to chocolate!) We now all meet up on a regular basis for lunch/dinner and special occasions and some of the judges join too. 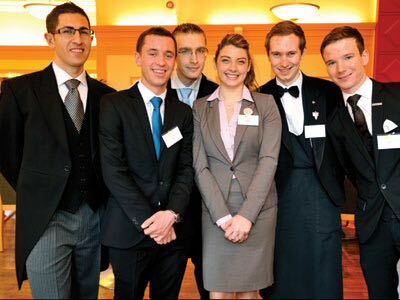 The competition is basically aiming at young talents in hospitality. The prize is priceless- refining your skills and knowledge through a years’ worth of mentoring, learning, travel and placement opportunities from a group of the most senior service professionals in the UK and internationally. I mean a competition with Alastair Storey, Willy Bauer OBE (the founder), Silvano Giraldin, Edward Griffiths, John Davey, Sergio Rebecchi, David Battersby OBE, Sara Jayne Stanes OBE, Thomas Kochs and so many other amazing people (that would make the list a lot longer) involved is bound to be good, I’m not sure if there is a firmer foundation of people out there who could put this together. Now, what relevance does this have with HM The Queen? Well, plenty! Since 2012 the competition has grown and grown and this year was honoured by having HM The Queen present the award to this year’s winner Jennifer Santner! I was invited along with the other finalists to watch and wow, what an absolute honour to be in the same room as HM. Those of you that know me, know that I am extremely passionate about looking after people and find it vital to encourage young talent to do so too. 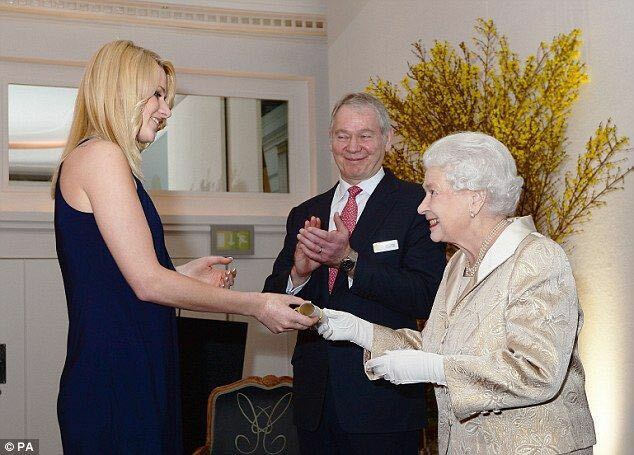 So to have HM The Queen present the award and state how important service is in this country is just brilliant! Now as a General Manager and looking after my own team, I can assure you that they will all have the opportunity to enter The Gold Service Scholarship. After all it has done so much for me!